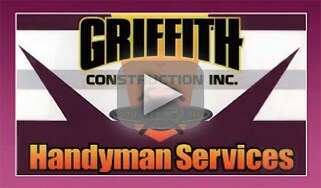 Griffith Construction, Inc. does gutter cleaning and repairs. We also install gutter guards and screens. Why call an installer to clean your gutters? Call the gutter cleaning specialists. Your gutters direct water away from your doors, windows and walls, reducing the risk of damage and deterioration for these important structural components of your home. Keeping your gutters in good repair and free from leaves and debris can ensure the most efficient disposal of rainwater and the best protection for your house. At Griffith Construction, our gutter cleaning team has the experience and know-how needed to accomplish this important task quickly and safely. 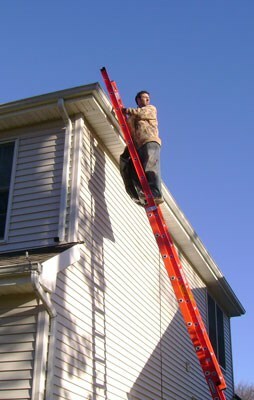 Climbing ladders and attempting to clean your gutters yourself can be a stressful and even dangerous proposition. The experts at Griffith Construction can take the worry out of this process with the most affordable and effective gutter cleaning services in the northern New Jersey area. We can remove leaves, dirt and other debris from your gutters to allow them to perform their job effectively. Griffith Construction can assess the condition of your gutters and can provide you with an estimate for repairing or replacing any damaged sections of this part of your home. Our experts can provide you with the most cost-effective solutions for all your gutter repair and cleaning needs. We can work with you to deliver the right results for your needs. If you dread the chore of cleaning your gutters, let Griffith Construction take care of this annual maintenance task for you. You can reach us at 201-493-9999 or 973-831-6102 to set up your appointment or to receive an estimate on your gutter cleaning project. We look forward to the opportunity to work with you. We also install air conditioners.